GridExperience is a 3D virtual reality world composed of many different regions. Each region is unique and offers a different experience for the user to enjoy. The regions offer experiences as varied as exploring Ancient Rome to walking the decks of the Starship Enterprise. GridExperience is running on the OpenSimulator software platform which is a lot like Second-Life. The biggest difference from Second-Life however, is the ability for the user to travel to other grids on the Internet. Grids are loosely interconnected into what is referred to as the Hypergrid. GridExperience is a place where you can meet new people, explore amazing regions, or participate in a special event. On GridExpeience you will find a wide range of things to do such as riding a jet-ski on a tropical island, piloting a boat, driving a race-car on a challenging track, listening to live music, and many more. The range of experiences your will find on GridExperience and on the Hypergrid are truly amazing. 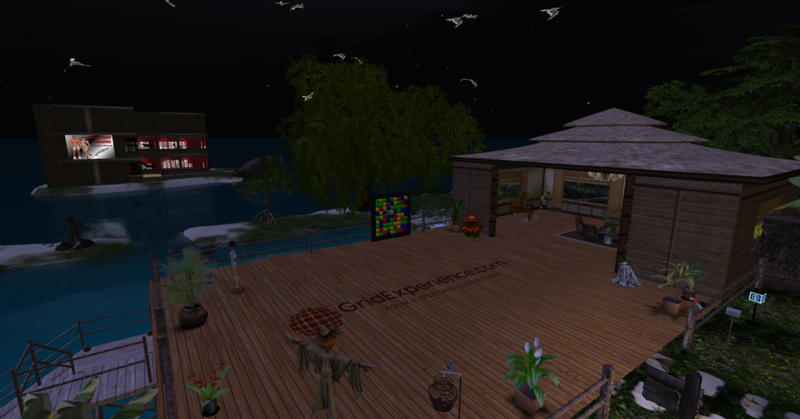 GridExperience is a private grid but we have opened some of our regions for Hypergrid visitors to enjoy. Check our blog and event calendar for news of public events and open houses on GridExperience.